QCOSTARICA – Costa Rica’s taxi drivers are taking their fight against Uber online. Literally. 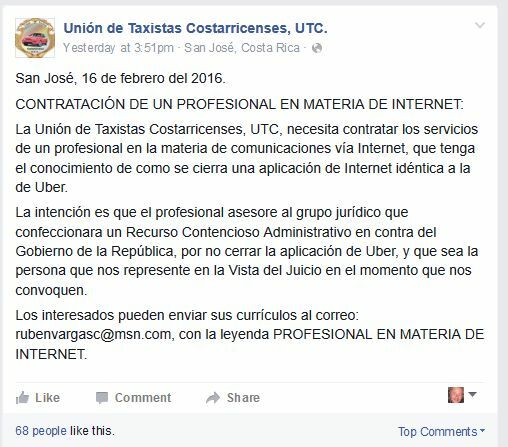 The Unión de Taxistas Costarricenses (Costa Rican Union of Taxi Drivers – UCT) is seeking an “online professional” to tell them if it is possible, or not, to block the Uber app in the country. The UCT posted Tuesday on its Facebook page the ad for a professional to advise the legal group to draft an appeal against the government, for not shutting down the Uber app. But the union does not have the funds. Not yet always. But Vargas assures they will raise the money to pay the “geek” salary, from a collection among taxi drivers. Vargas added that they have already received five bids, including from a group of students of the University of Costa Rica (UCR). 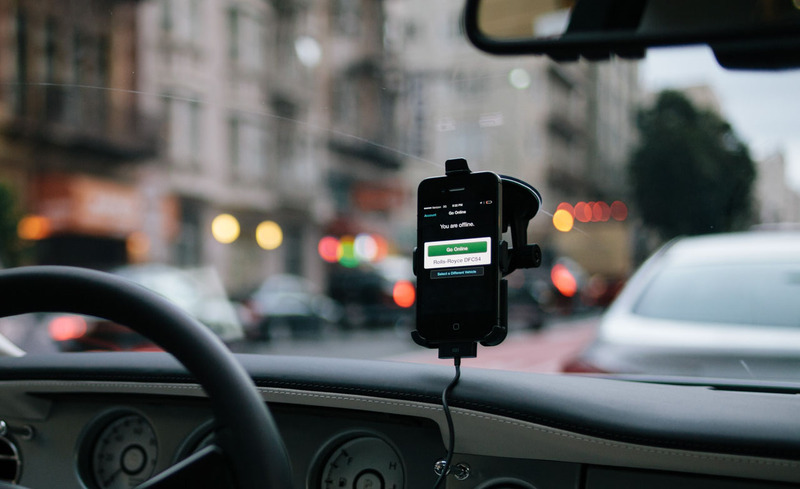 The UTC is planning to sue the government before the end of March, asking ¢42 millkion colones in compensation for each driver, for damages caused by Uber. That figure, according to Vargas, is arrived at by multiplying the ¢350.000 colones monthly income of a taxi driver for the ten years, that is the term of a taxi concession. The interested can apply at rubenvargasc@msn.com.